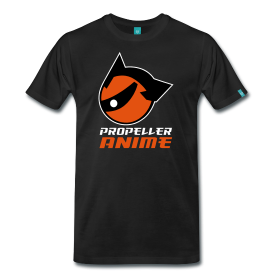 Propeller Anime: Next Propeller Anime Club meeting Sunday, June 6th at 1:00pm! Next Propeller Anime Club meeting Sunday, June 6th at 1:00pm! Next Propeller Anime Club meeting will be on Sunday, June 6th at 1:00pm! 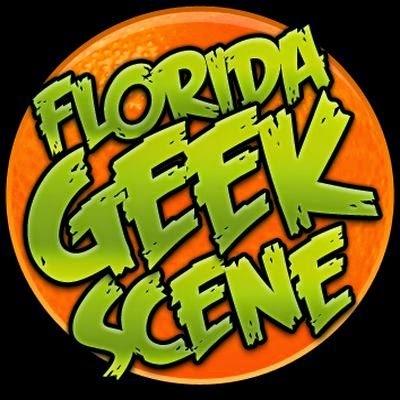 The location will be FS3B-113 at Full Sail University! Bring some friends who have never been to club! Those interested in checking things out: we're a fun bunch and we tend to show some good anime. Come and make new friends! 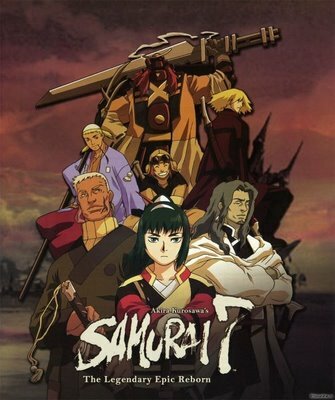 Since Samurai 7 won second place in the last democratic vote, this may be the best thing to show right now. I've read a little bit about the show. The seven samurai of the original film are sort of represented in the series and they are still hired to protect a village of farmers. But it is set in a steampunk setting this time and there is mecha and at some point the samurai are supposed to fight the Emperor. I'm actually really interested in seeing how this series goes. We'll be watching Baccano! and Gungrave! In Baccano! we'll learn of the origin of the immortals and there will also be an episode starring the lovable and ridiculous robber couple Isacc and Miria! In Gungrave, people who have wronged Grave and those he's loved will probably get shot at by giant guns held in cool, over the top poses. Style points! Our feature for this showing will be a secret! That's right! I'll bring in something that I bet some of you have never seen before. You won't even know what it is until it starts playing! It's a classic anime film and it is considered by many one of those movies that give legitimacy to anime as an art form. Those are your clues! Have a fun and safe Memorial Day weekend! See you all in June!